A lightly seasoned crouton made from cornmeal that's an easy, gluten free way to top your salads. Parmesan polenta croutons with just a hint of garlic and Italian herbs like oregano are a crunchy and gluten free addition to your bowl of greens. 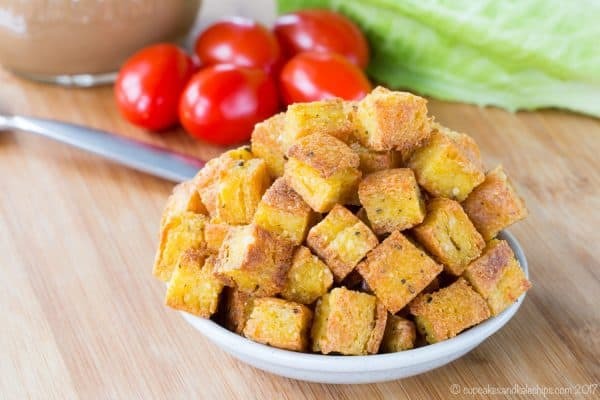 Use this technique with leftover polenta or make a fresh batch so you can top your salad with Italian Herb Parmesan Polenta Croutons. Originally published on May 20, 2012. Updated on January 24, 2017. Sometimes I make components to a recipe that deserve their own post because they can really be used in so many recipes. Plus it make my life easier when I want to share a “new” post with you all but don’t really have a “new” post. Call it “lazy blogging”, I’ll call it efficient. And since that’s my goal for 2017, today you get croutons! 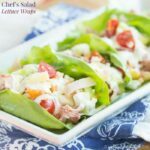 But stay tuned because not only can you put them on this “Greek” Chicken Caesar Salad (oh nevermind, don’t look at those embarrassingly awful old photos), but next week I have a fun new salad to top with these little golden nuggets. Or just eat them straight off the pan. Whatever. The best thing is that you can change around (or omit) the seasonings so that it can go with anything you like. 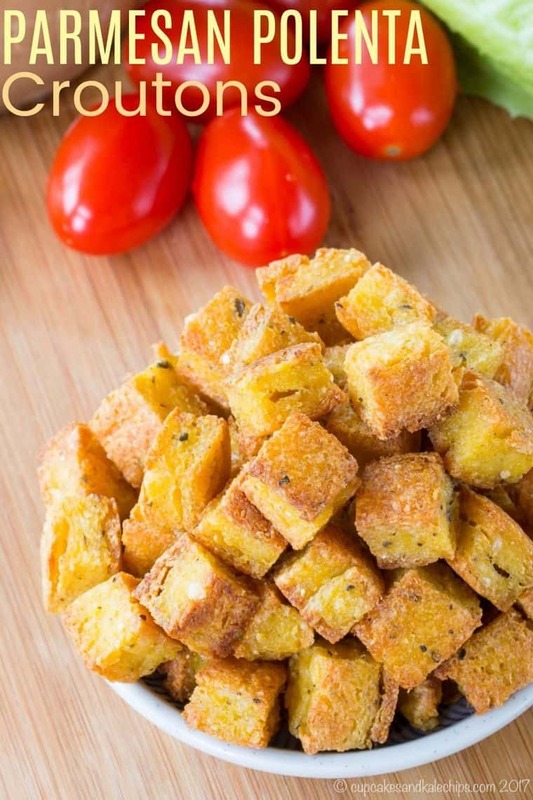 Italian Herb Parmesan Polenta Croutons are tasty, golden little nuggets to top your salad! 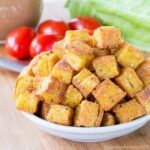 They are a naturally gluten free way to to add texture, especially when you can’t have classic croutons. In fact, there might even be better than come of those super hard, stale-tasting croutons. They are crispy on the outside and slightly soft on the inside, instead of rock hard bits. These have classic Italian herbs and parmesan, but you can always try cheddar and smoked paprika, or just leave them with basic salt and pepper. Whisk the cornmeal, water, and salt together in a medium saucepan, and place over medium to medium-high heat. Stir in the cheese, garlic powder, and Italian seasoning. Shape into a rectangle, about 1/2 in. 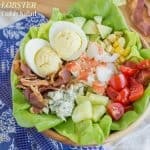 thick, wrap in plastic wrap, and place in the refrigerator until cooled. Cut the polenta into 1/2 inch cubes and place in a single layer, not touching, on a baking sheet coated with olive oil or cooking spray. Spray some more olive oil or cooking spray over the cubes. Thanks for the recipe! Just wondering how long these last for? And what is the best way to store them? I just keep them in an airtight container, but you’ll want to eat them within a day or two. They do start to get a little soft, but you can still eat them. 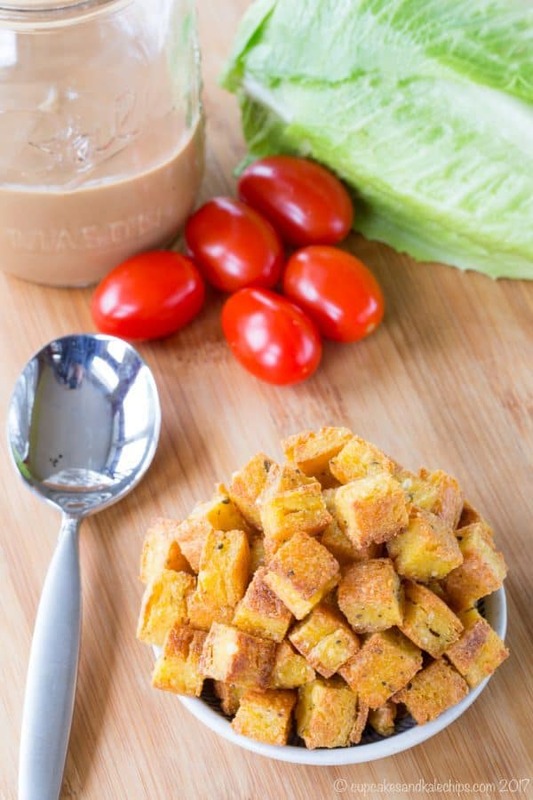 Croutons are the best and yours look like the best of the best! Polenta? Amazing. Thanks, Brianne for sharing with us at Funtastic Friday! I love croutons and will eat them straight. No salad needed 😉 Thank you for sharing at Merry Monday! I’m sorry, I don’t have calorie counts, but you can plug the ingredients into an online calorie counter. I’ve been trying to think outside the box a bit with the gluten-free stuff, to use “real” food, and not just prepackaged gluten-free stuff. I love croutons!!! I have done polenta croutons for soups but i usually stick with bread croutons for salad. I’ll have to try this! With the wheat allergy, I try to stay away from bread croutons, so usually just skip them altogether. This was such an awesome alternative. Not quite as crunchy, but still good. Yum! I love croutons. I eat them like potato chips. Aww, thanks! You are too sweet!